Celeb Vocal Coach, A&R Expert, New Music Business Mentor and CEO/Founder of Cari Cole Voice & Music. can stop you from thriving in the music industry. and can’t wait to be a part of your journey. to make with your music. With countless success stories, Cari will motivate you to build your dreams with wit and wisdom. 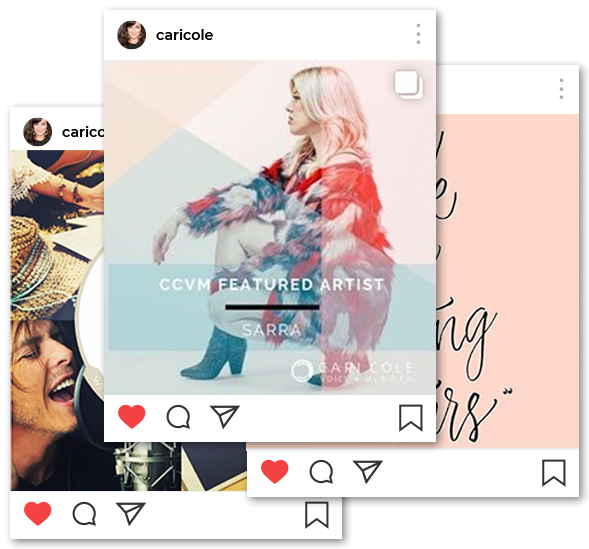 Find the perfect #vocaltips for you and #AskCariCole for exclusive insights into your music career efforts. The Signature Songwriting Guide: Getting Your Message in your Music & Out in the World.